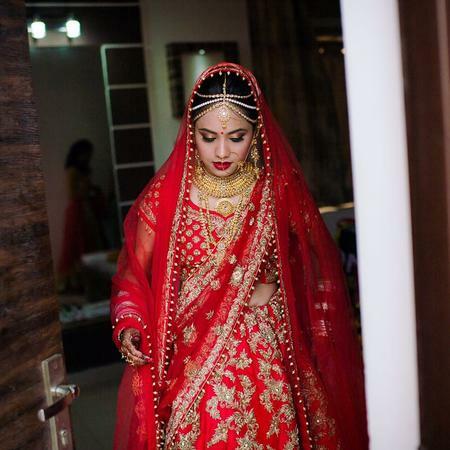 Suraj Makeup Artist, Delhi offers gorgeous bridal makeup packages for brides all over the city. The team at Suraj Makeup Artist is an experienced one and is sure to lend you a flawless look on your big day. You can trust Suraj Makeup Artist, Delhi for your special event and they won't let you down. Suraj Makeup Artist is a Bridal Makeup Artist based out of Delhi . Suraj Makeup Artist's telephone number is 9810038422, Facebook page is Suraj Makeup Artist and address is South Delhi. In terms of pricing Suraj Makeup Artist offers various packages starting at Rs 8000/-. There are 2 albums here at Weddingz -- suggest you have a look. Call weddingz.in to book Suraj Makeup Artist at guaranteed prices and with peace of mind.